Trump should really learn how to spel. becasue then 5 people feel compelled to correct you. Like this person. If more poeple only tried to understand what he's doing. The best mspellar wins. Good that you got the suncream on yesterday - overcast is silent burn. At least today you know you are in the sun :-) Go for a wander by the sea if you can. Absorbs huge amounts of stress if you let it. It's a great place to hang out. I haven't even scratched the surface and I have been here most of my life. It's so nice to have a Dot's regular over here. Really puts thing into perspective. All the best Ruff and team and I look forward to a full report on your adventures. You are completely schmucking my mountainous seas meme there buddy. And sharks. Huge hungry sharks. Did I mention the mountainous seas? It's only kiwifruit and feijoas if you can make it past the mountainous seas. And the sharks. Battling to not work anymore! There are many ways to view our employment problems. When we were kids, all of us, all of our friends, worked at something, somewhere. The entire summers were filled will jobs, low paying but we were able to keep in school and pay our bills. I was considering the past, again today. What we all had was something like "an inner drive to survive". I do not see that in the youth of today. We did not have heath insurance, dental insurance, and very few had any car insurance. Our country dentist would pull or fill a tooth for $5 and you could pay latter. I remember owing him $20 and I now hope that I paid him about 60 years ago. Doctor P. lived down the street and most of his patients used the barter system if they had zero cash. Yep, we were a herd of poor kids but really did not understand poverty. We worked the berry fields, loading chickens upon trucks at nighttime, pumped gas at several stations on I-5, washed dishes at cafes, stacked wood and mowed lawns and anything else to survive. It was just wonderful and I am thankful for those days and would not change anything. Now, these days, everywhere I look, jobs, jobs, and more jobs. The youth are on their phones or marching as snowflakes on the streets. Hands on jobs are needing people and there are not bodies to fill the positions. So I have this inner battle, saying: "Well, I am in good health, no bills, enough coming in to make things work, and people still want to hire us to build/remodel for them. I should just jump back into the working stream, make big fiat again, knowing how I have enjoyed working from back in the 1950's. " Then I remember my age and think "why get involved, am I nuts?" not sure if I posted this back in January of this year. I was at intimate dinner with a CIO of a Major investment firm in Canada. I don't drink at these functions as I find when everyone else gets a bit of talking water in them and you can glean interesting information if you are listening. Long stroy short, this guy is middle eastern and raised in the UK. Went to private school etc. Best friend is a Energy minister of one of the Countries in the news. He was invited to attend a private meeting with Saudi, Iranian, Iraqi, UAE and Yemen energy Ministers and High level government officials. Put a towel on his head and he fits right in if you get my drift. It was agreed at this meeting that if price of energy was not above $60 a barrel by fall of 2017 then Iran and KSA would start a skirmish. I took that info and shared with clients as they were making allocations to sectors this year. I told them that it was hearsay as I was not there and he could be embellishing. On the other hand I had no reason to believe he was lying to me. Was that Seatoun Wharf in Wellington? Famed psychic/meduim Maureen Handcock recently held a seance to contact the famous horse, Trigger, to find out how he was enjoying the afterlife. "Trigger, Roy Rogers' beautiful Golden Palomino stallion, and co-star with Roy in many of his movies and Roy's TV show, was often billed as "the smartest horse in the movies".The two of them appeared in dozens of westerns in the 1930s and 40s, always chasing and thwarting the bad guys, and working to serve peace and justice. Trigger even shared the movie title with Roy on two occasions: My Pal Trigger (1946) and Trigger, Jr. (1950). Smiley Burnette, who played Roy's sidekick in his first two films, was watching and mentioned how quick on the trigger this horse was. Roy agreed and decided that Trigger was the perfect name for the horse. Roy purchased the horse for $2,500 and eventually outfitted it with a $5,000 gold/silver saddle." Among other things meduim Maureen Handcock wanted to know was, if Trigger had gone to "purgatory" first before entering heaven. Trigger, billed as the smartest horse to ever live said "No!" Trigger was also asked how he was treated by Roy Rogers and Dale Evans and that's when things really heated up. Trigger reportedly told Maureen that after his performances Roy would remove his briddle and saddle and pat his side towards his rear-end telling him what a good horse he was. He said that Dale Evans would also do the same thing when they were both together with him. "Come to think of it, it was definitely sexual misconduct by Rogers and Evans," Trigger added. "I felt embarrassed and degraded." "They both treated me like I was some kind of an animal or something,"
Where-Oh-where da fk did they git the FOUR BILLION~!!?? In my city we have 12 empty churches/cathedrals. I wonder how the parish priests - who headed those churches - feel about the Pope's use of FOUR THOUSAND MILLION?? Those releases were part of a series of leaks WikiLeaks called Vault 7. Now, WikiLeaks says Hive is just the first of a long string of similar releases, a series WikiLeaks calls Vault 8, which will consist of source code for tools previously released in the Vault 7 series. 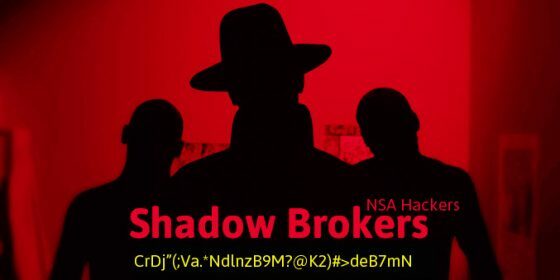 The WikiLeaks announcement has sent shivers up the spines of infosec experts everywhere, as it reminded them of April this year when a hacking group named The Shadow Brokers published cyber-weapons allegedly stolen from the NSA. Some of the tools included in that release have been incorporated in many malware families and have been at the center of all three major ransomware outbreaks that have taken place n 2017 — WannaCry, NotPetya, and Bad Rabbit. More here. WASHINGTON — Jake Williams awoke last April in an Orlando, Fla., hotel where he was leading a training session. Checking Twitter, the cybersecurity expert was dismayed to discover that he had been thrust into the middle of one of the worst security debacles ever to befall American intelligence. Lets play Larkins game "So what are you going to do about it?" You find out that there is a criminal gang in your stateless society. They hold power in their private b run industry which in a stateless society is not regulated because there is no state that regulates. Within this industry there is a ring of sexual deviants sexually assaulting, men, boys and children who work in the industry. But they are silenced. They are silenced by threat of force because some of the perpetrators have hired spies from other states that aren't anarchist. So we have victims without a voice or an authority to turn to to assist them. You find out through the grapevine and you are one of the millions of people, Larkin refers to that will do something about it. So what are you going to do about it? I am assuming that you are anarccapitalist that allows business in your society to operate freely without regulation or authorities to investigate. The information came to you Me Fix So what are you going to do about it. How are you going to organize a group together with the proper skills in investigative techniques to ascertain evidence. What are you going to to do one you have the evidence. What system of justice will be brought to bear if you have a system At all.